The final of ISEF 2017 was held at the Aviva on April 4th. Four finalists presented to a panel of Ireland's foremost business leaders in a bid to win the €8,000 cash prize and business analysis with renowned investor Bill Liao. The video based recruitment app, Recroot, emerged as winners on the night. Recroot is a video-based recruitment platform which focuses on hourly employment for the hospitality and retail sectors. Recroot simply replace the CV with a 30-second video. Recroot found that the issue with hourly employment is not whether an applicant has experience, but whether they have an amiable personality. The 30-second video provides jobseekers with a means to convey their personalities and stand out to employers. Inceno is an Irish startup established in 2016 as a hospitality software firm. It was founded to solve consumer and hospitality sector needs. Their mission is to build an individually tailored, customer & food centred community that is brought together through mutual need for trust, transparency and pristine quality. Inceno offer consumers and managers a means of verifying restaurant reviews and will continue to produce new, innovative solutions to assist and aid the hospitality sector. Delve is an emotional management app that helps people manage their emotions more effectively. This is delivered through on-the-spot exercises and workout programmes that are specifically designed to the user, suited for any situation during their demanding day. 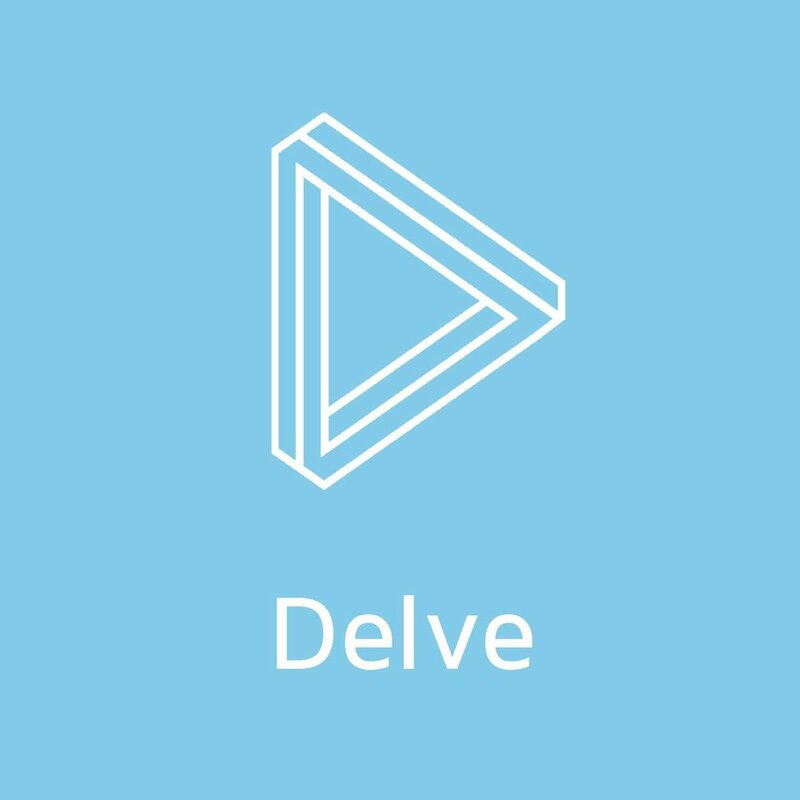 Combining scientifically backed research drawing from the areas of mindfulness, cognitive behavioural therapy and emotional intelligence, Delve utilises technology to provide what the user needs, when they need it. Delve changes perceptions, enhances understanding and stimulates action. Their mission is to make exercising your mind as universal as exercising your body. GiveBack.ie is a social enterprise that aims to end homelessness in Ireland through passive crowd fundraising. Their online platform allows users to give back to Irish homelessness charities simply by shopping online, at no additional cost to them. When you make a purchase at any supported retailer, a percentage of your total spend will go towards helping homeless people in need. It's a fully automated, passive process that enables the everyday philanthropist from the comfort of their own sofa. Just shop online as you normally would, and GiveBack.ie will handle the rest. Outside of his extensive business interests, Denis chaired the 2003 Special Olympics World Summer Games in Ireland. It was the first time the Summer Games were staged outside the US with teams from 160 countries and over 30,000 volunteers. Denis is a Director on the US Board of Concern Worldwide and a member of the UN Broadband Commission for Digital Development. He also chairs the Clinton Global Initiative Haiti Action Network and was appointed to the Special Olympics International Board of Directors in 2016. In addition, he is the Chairman and Co-Founder of Frontline, the International Foundation for the Protection of Human Rights Defenders which is based in Dublin. In 2000 he established The Iris O’Brien Foundation to identify and assist projects in Ireland and internationally which aim to alleviate disadvantaged communities. Denis holds a BA degree from University College Dublin and an MBA from Boston College. Anne Heraty is CEO of Cpl Resources plc., a recognised leader in workforce solutions, specialist recruitment, managed services and outsourcing. With an annual turnover in excess of €433 million, the company has over 670 permanent employees. In any one week Cpl also has over 12,000 temp/contract staff under management in customer sites. Her company has grown through both strong organic growth and strategic acquisitions. Most recently, Anne won the Business & Finance ‘Business Person of the Year 2014’ and her company was ranked as ‘Best Place to Work 2016’ in the large organisation category. Anne is the President of Ibec and also the Chair of judging panel for the EY Entrepreneur of the Year Awards in Ireland. Anne Heraty will chair the panel of judges at ISEF 2017. Sean is recognised nationally as a champion for small business and job creation. He is the CEO and co-founder of Clyde Real Estate, a leading property company focused on serving the accommodation needs of indigenous Irish companies, large corporates and multinational firms seeking to establish and expand operations in Ireland. Previously, in 2002, Sean co-founded a company which specialised in manufacturing and installing cabling and technology systems into new residential homes. 'Smarthomes' went on to become Ireland's largest home technology company. Sean is also a business writer with the Sunday Independent, Ireland's largest selling newspaper with a readership of almost 1 million people. Each week. he profiles successful entrepreneurs and inspiring role models in business who share with him the lessons they have learned about everything from strategy and innovation, to focus, leadership and resilience. Sean hopes that these stories will help inform, empower and inspire others to become the next generation of entrepreneurs and job creators. Joanne Geary is the Group Director of Marketing & Business Development for Sherry FitzGerald Group. She is an experienced Strategic Business Development, Marketing and Communications Director advising the Board and Senior management team of Sherry FitzGerald Group, on initiatives relating to the strategic marketing, digital innovation, branding and business development. Joanne is a regular spokesperson for the Group and media commentator. She has an MBS and BComm from UCC. Joanne will be discussing digital transformation and the many opportunities of the future. Ian is Chairman of number of high growth companies including Everseen, XSDirect, Score Music Interactive (Xhail), One Posting and Accelerated Payments. He has significant expertise and experience in supporting the promoters and management of high growth companies to develop and deliver their respective strategies. He also assists and supports the fund raising of capital and debt for these and other companies and has a particular interest in the technology, cleantech and alternative energy sectors. Ian has been involved in a number of successful exits for investors and shareholders of private companies including FeedHenry (of which he was Chairman). Ian completed a B.A in Maths and Engineering at Trinity College Dublin, has a diploma in Applied finance from the IMI and is a member of the Institute of Directors in Ireland where he recently successfully completed the IOD’s Chartered Director course. Jeanne Bolger, MB BCh BAO, Vice President, Venture Investments, joined Johnson & Johnson Innovation - JJDC, Inc. (JJDC) in 2013. She is based in London, UK. In 2012, upon the establishment of the Innovation Centers, Dr Bolger joined J&J’s corporate venture fund, Johnson & Johnson Innovation – JJDC. She is based in London with responsibility for investments across Europe in start-up and early stage life science companies in areas of strategic interest to J&J’s business sectors in Pharmaceuticals and Biotechnology, Medical Devices and Consumer. Dr. Bolger received her medical degree from University College Dublin. She also holds diplomas in Child Health (NUI) and in Finance and Accounting (ACCA). She is a Fellow of the Royal Academy of Medicine of Ireland (RAMI). Dr. Bolger has served as the sole pharma industry representative on two Irish government taskforces seeking to enhance the commercialization of IP from Irish academic centres. She is a visiting lecturer on the MSc Pharmaceutical Medicine curriculum at Trinity College in Dublin, Ireland. Terence was appointed Chairman of Enterprise Ireland in August 2013 and was previously Managing Partner of KPMG Ireland until his retirement from the firm in April 2013. He is also Chairman of the Irish Management Institute, Enactus Ireland and the Social Innovation Fund Ireland. He is a director of Hibernia REIT plc since its flotation in December 2013 and joined the board of the Irish Times Limited in May 2013. Dublin City University, Temple Street Foundation and the Irish Film Institute. Terence graduated from University College Dublin in 1975 with a BA in Economics and History. Bill Liao is the European Investment Partner at SOSV, investing in, supporting and mentoring companies and startups at all stages of growth. Bill Founded SOSV’s biotech practice and runs RebelBio in Europe. Bill has a wealth of experiences, both in the public and private sectors. A co-founder of CoderDojo, a free global network formed to assist young people with learning computer programming, Bill also co-founded XING, a pioneering enterprise social networking platform. Prior to these endeavours, Bill served as COO of Davnet, a telecommunications carrier. Bill has also distinguished himself as a diplomat, serving as a special diplomatic envoy for St Kitt’s and Nevis, with an emphasis on sustainable development and the environment. Author of three books, he is a regular speaker at many events and venues such as The London School of Economics, The World Economic Forum, The Globe Forum in Sweden, The House of Commons and TED as well as TEDx. He is Founder of WeForest that has planted over 9 million trees globally. Frontline is an early-stage B2B venture capital ﬁrm powered by people - the ambitious founders they invest in, their strong networks of industry experts, and their own passionate team of ex-operators. Based in Dublin but supporting companies throughout Europe, Frontline bridges the technical and the human, providing both capital and experience to help shorten our founders' learning curves. They strive to unlock the power of collective intelligence through our innovative platform. Frontline has built a wealth of knowledge and content around international expansion, to help startups reduce the friction. In January, Frontline hosted an insightful workshop with the ISEF team on how to evaluate a startup, ran by Head of Platform, Kim Pham. Kim relayed advice as to what to look for when evaluating early stage startups, and advised the team as to what criteria should be used to identify the most promising companies. SOSV accelerates startups with mentoring and finance. They run unique, high-value accelerator programs that we believe provide stellar value to entrepreneurs, serving and supporting them with deep experience, world-class demo days, and distribution and sales assistance. Through their “best practice” accelerator programs, startups gain immediate access to funding, market knowledge, peer mentoring, networks, and business expertise. SOSV has nearly 60 full-time staff and over 500 mentors around the world, all available to advise in the areas of: executive coaching, design, sourcing, distribution, science, finance, sales, and marketing. SOSV kicked off the 2017 workshop series with a workshop hosted by Alan Clayton focusing on the psychology and mindset required to be a successful entrepreneur. Alan has coached over 50 startups across the world as a roaming mentor, with a lot of his work centered on fully utilizing the intellectual resources of startup founders and teams. Twitter is a global platform for public self-expression and conversation in real time. By developing a fundamentally new way for people to consume, create, distribute and discover content, Twitter enables any voice to echo around the world instantly and unfiltered. The service can be accessed at Twitter.com, on a variety of mobile devices, and via SMS. Available in more than 35 languages, Twitter has 316 million monthly active users. Twitter hosted the second workshop in the 2017 series, advising the startups as to how they can build their online presence in the digital age. A local business with global reach, Drury | Porter Novelli is Ireland’s leading full service public relations agency. By embracing new technologies and pushing creative boundaries, Drury | Porter Novelli help their clients to adapt and win in an ever changing world. Areas of expertise also include strategic planning, on and offline brand communications, social and digital media, B2B communications, corporate responsibility, community relations, crisis management, event management, investor relations, internal communications, litigation communications, media relations and training, reputation management, and sponsorship support. By using unique proprietary planning and digital tools such as DruryPN+ and DruryPN Connect, Drury | Porter Novelli’s specialist teams plan and execute powerful integrated campaigns designed to deliver against agreed business objectives. Drury hosted the third workshop in the 2017 series, using their expertise to provide advice and help the startups to improve their public relations and presentation skills. Broadlake Capital is a new age, innovative private equity firm which invests time, energy, expertise and capital into promising companies in order to help them achieve their vision. The company has invested in and successfully helped to grow numerous SME’s, focused on partnering with and complementing the skills and experience of the best entrepreneurs in their field. Broadlake have been a supporter of ISEF since 2014, providing insightful workshops on business and strategic planning to the startups. Broadlake finished off our workshop series with am insightful talk focused on business planning and financing, as well as what makes a good startup and ultimately what they look for in an investment.